I graduated from Rocky Grove High School in 2004. I left to attend college in Erie at Mercyhurst University (then Mercyhurst College) and graduated in May 2008 with a Bachelor’s degree in Business Administration. I initially moved back home after graduation and began the search for jobs with my degree. I applied for jobs in PA and Ohio both. I got a job with National City in Erie in March of 2009 as an administrative assistant in mortgage loan department. I was commuting from Franklin to Erie 4 days a week. As part of PNC buying out National City, my position was going to be eliminated in August of 2009. I was fortunate and a newly created position for a Mortgage Loan Officer was created for the Venango County Area and I got the job and begun my career in mortgage lending, primarily working out of Oil City. I was so excited for the new opportunity and be working so close to my family and friends again. I worked for PNC until the end of March 2014 and took the position as Real Estate Lending Director with Clarion County Community Bank beginning in April of 2014 at the new loan production office the bank had opened in Franklin. In May of 2018, I had the opportunity to become Loan Program Manager at the Northwest Commission, where I now assist small businesses with financing in Oil City. Outside of work, I enjoy kayaking on the Allegheny River, spending time at Oil Creek State Park, skiing and helping out and volunteering in the community. I am currently serving on the Venango Area Chamber of Commerce Board of Directors where I am also on the finance and executive committees. 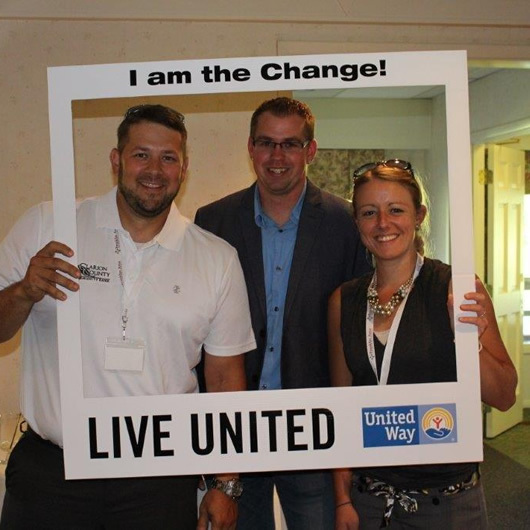 I am active in FLEX, the young professionals group in Venango County where I have served in the past as treasurer and secretary and I participate in the events coordinating for the fundraisers and happenings the group has throughout the year. I also volunteer with the United Way on their financial stability committee and their bingo committee. I am on the Board of Directors for the Friends of Oil Creek State Park; this is a non-profit group that helps maintain the park and introduce people to all the park has to offer. There is such a sense of community in Venango County and the surrounding area and everyone is so friendly. There is a lot of opportunity here to live, grow and thrive. I can say from experience, of all the places I applied for jobs-big cities, out state, I ended up with a job where I grew up and couldn’t be happier.